A £13.4m real-world working test bed for driverless vehicles aims to be up and running in London by spring 2019. The Smart Mobility Living Lab: London will enable companies to trial their ideas, technology and services within complex public environments to help develop new vehicle systems and big city transport applications. Lead academic partner Loughborough University has been awarded £500,000 as part of the project to develop a research programme. Professor Pete Thomas, who is leading Loughborough’s involvement, said: ‘This is an exciting venture to be a part of and will place Loughborough and Loughborough London at the heart of a world leading research and development facility for connected and autonomous vehicles. The new testing area will be based in the Royal Borough of Greenwich and the Queen Elizabeth Olympic Park. 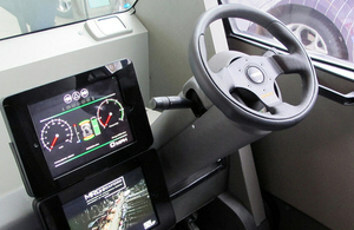 It will include a wide range of facilities including connected and instrumented road infrastructure, 'mule vehicles' for new automation systems, private networks and mobility data capture, 5G and Digital Communication Recording System connectivity, and more specialist research equipment. The project’s partners are led by TRL and include Transport for London, Costain, Cisco, Cubic, DG Cities and the London Legacy Development Corporation.